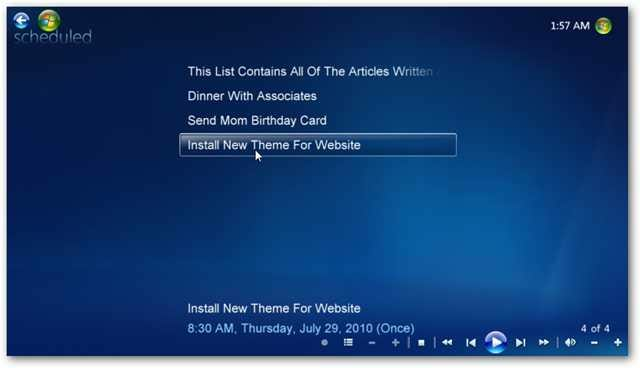 If you’re a user of Window 7 Media Center, you can lose track of time watching your favorite movies or TV shows. 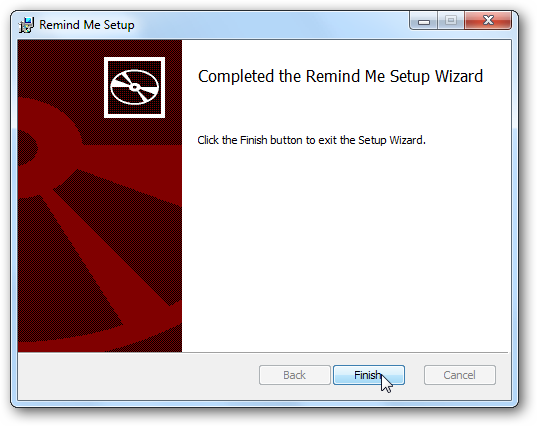 Today we look at the Remind Me plug-in that will display a reminder message. There may be times when you’re caught up in a movie or your music collection and you forget an important appointment or task. 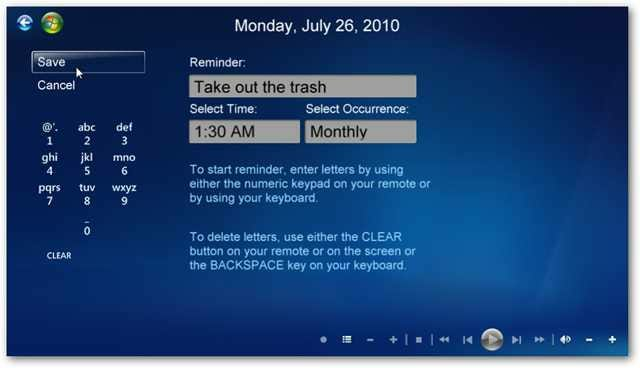 Remind Me solves the problem by popping up a message in WMC so you remember to make that important phone call or take out the trash. Make sure you’re closed out of WMC, then run the MSI installer file and accept the defaults. 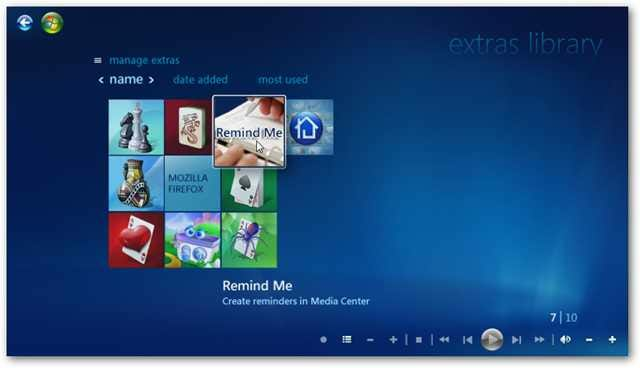 Re-launch Windows Media Center and go to the Extras Library and click on the Remind Me icon. One caveat to this plug-in is you will need to wait 20 seconds to use it. If you like it, give the developer a donation by clicking on the Paypal button. You’ll then be able to use it without the nag screen. The interface is easy to use. 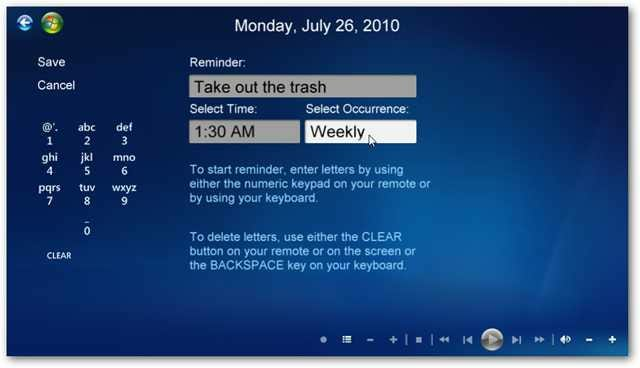 Just type in the details of your reminder, select the time, and how often you’d like it to occur. You can select from Once, Weekly, Daily, Monthly, or Yearly. Once you have it setup click the Save button. You’ll receive a confirmation letting you know the reminder has been scheduled. 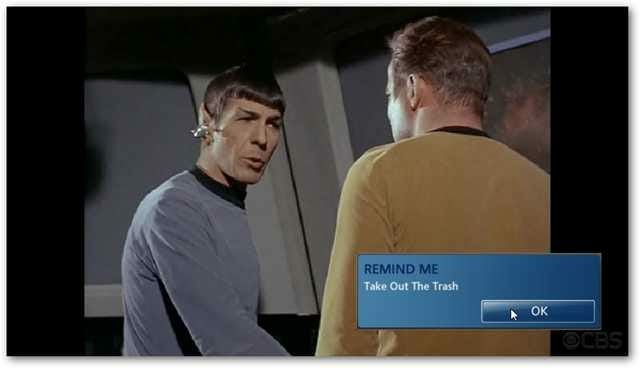 Now while you’re completely caught up in a Star Trek marathon, the reminder will pop up on the screen. Click OK to close the reminder window. 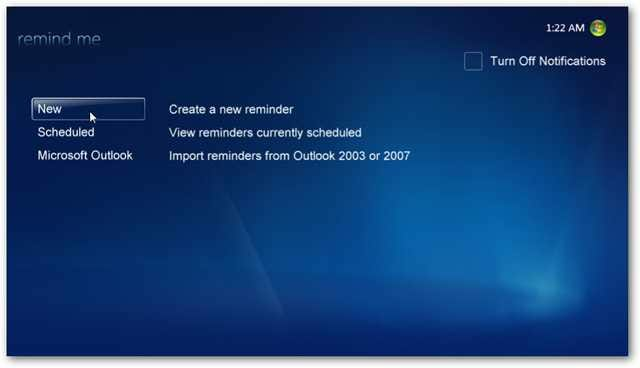 Another feature of this plug-in that makes it very useful is the ability to import your reminders from Outlook. According to the site it works with Office 2003 & 2007, and we were also able to use it with with Outlook 2010 with no problems. 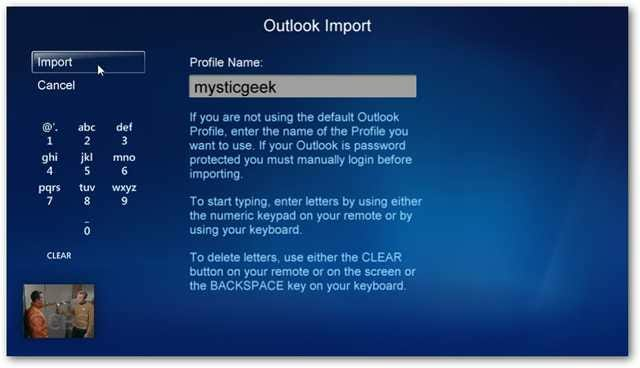 To import Outlook reminders open Remind Me and click the Microsoft Outlook button. Enter in your Profile Name and click Import. You’ll get a confirmation message showing everything was imported successfully…click OK.
To verify the reminders imported successfully click on Scheduled. Your list of Outlook reminders or any others you entered manually will show up in the list. If you don’t need one of the reminders for some reason click on it, then click the Delete button. This plug-in is available at the MCE Zone and while there, make sure to check out some of their other interesting plugins such as TwitterMCE that let’s you use Twitter while watching TV or Movies. 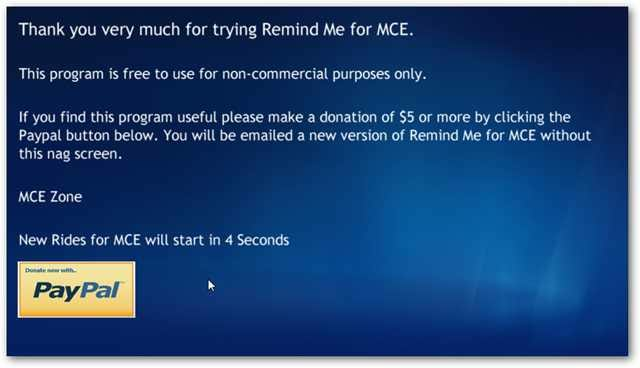 Remind Me works in Vista Media Center as well. If you have a bad habit of getting engrossed in Movies or TV in WMC and forget other responsibilities, this is a nice plug-in that will help you stay on track.